Seymour Schwartz, MD - the 2018 Sischy Scholar and will present "From Medicine to Manuscript... Doctors with a Literacy Legacy"
Please join us for a reception following the lecture. 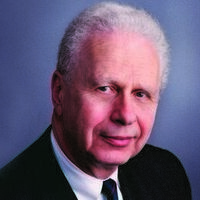 Seymour I. Schwartz is the Distinguished Alumni Professor of Surgery at the University of Rochester School of Medicine and Dentistry and was Chair of the Department of Surgery from 1987-1998. He received his medical training at New York University and his surgical training at the University of Rochester, Strong Memorial Hospital. He has served as president of the American College of Surgeons, the American Surgical Association, and the Society of Clinical Surgery. He was elected to membership in the American Philosophical Society and the Institute of Medicine. He is on the Board of the National Museum of American History of the Smithsonian Institution and the Phillips Society of the Library of Congress.